Kapai! 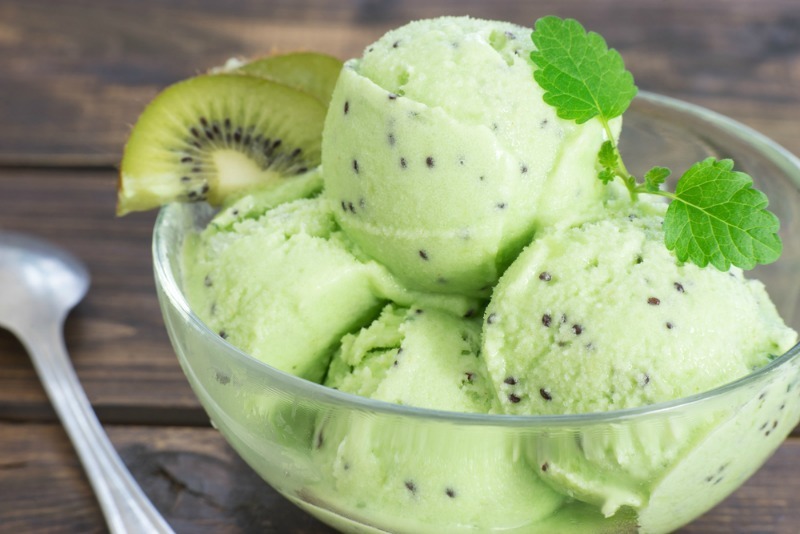 You’ve stumbled onto an awesome NZ kiwifruit ice cream recipe. If you enjoy kiwifruit then take your love to a new level with this creamy kiwifruit ice cream. A lovely mix of kiwifruit combined with an anglais base : the end result is a dessert that will impress anyone who appreciates the subtle goodness of the humble kiwifruit. Whisk yolks and sugar in a bowl and set aside. Heat cream and milk on medium heat until simmering. Pour 1 cup of milk mixture slowly into yolks, all the while whisking. Pour yolks back into saucepan of milk mixture and continue heating until it thickens - about 5 minutes. Pour ice cream base through a strainer into an airtight container. Mix kiwifruit into the ice cream base and add to fridge for 3 hours or overnight. Churn as per manufacturers instructions then scoop into a container and freeze until hardened - about 2 hours. No Replies to "Kiwifruit Ice Cream Recipe"